Is Your Windows Operating System Updated? Does Your OS Need To Be Updated? It has always been important to ensure your operating system is up to date. However, the last two global cyber attacks have shed new light on the importance of doing so. Both WannaCry and NotPetya exploited vulnerabilities within the Windows operating system, which allowed the cyber criminals to encrypt the users files. This encryption process left the files inaccessible, unless the users either paid the ransom demands or restore with their backup data. 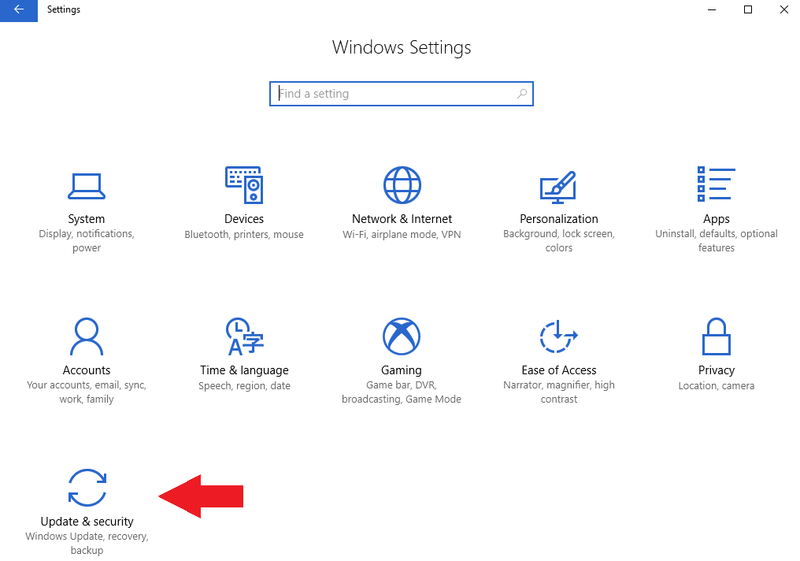 To confirm the Windows operating system is updated on your PC, you will want to access your settings. You can do so by clicking the Start menu and clicking on the gear icon; or you can type “Settings” into the search bar by the Start menu. Once you access you’re settings, you should see the screen below. From here, you will want to click on “Updates and Security”. Once you click on “Check for updates”, the system will search for all applicable updates. If any are needed, they will update automatically. It would also be best practice to restart your computer after this process has completed. Although screenshots are not available, here are step by step instructions to check for updates available for Windows 7 and 8 operating systems. 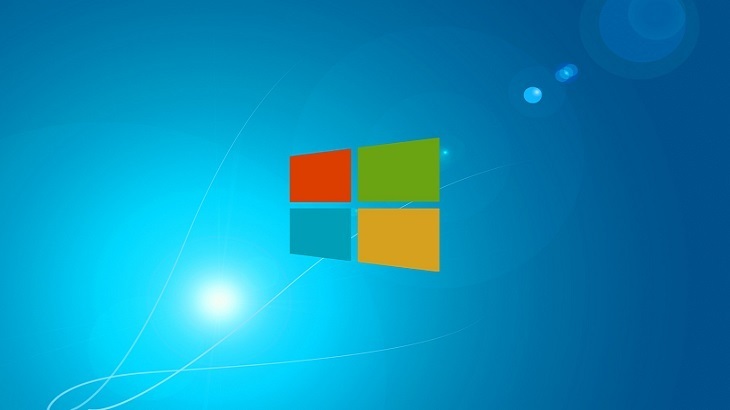 Windows Vista and XP operating systems are no longer supported by Microsoft. Therefore, updates are no longer available for these systems. **PC Matic suggests users install updates to patch all vulnerabilities. tips how to, Update, Updated, Windows OS. permalink. 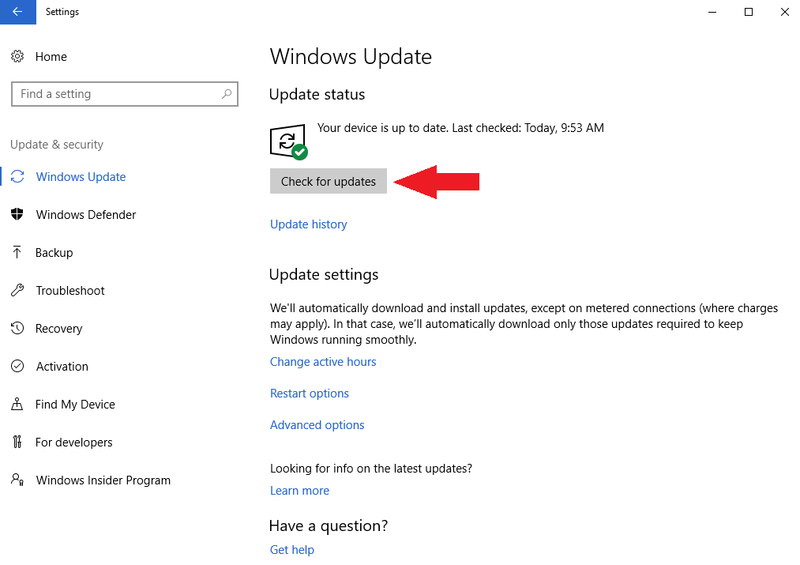 Windows automatically updates itself so chances are that no action needs to be taken from our side. I’d gladly keep my OS updated if Microsoft would quit using deceit and deception to download “non-update” malware (such as Windows 10 download attempts) onto my computer. Until then, I will only download “updates” if I have first thoroughly checked them out as safe from Microsoft malware. I have resisted updating Win7 Pro OS as the only option available is a full upgrade to Win 10 which has it problems still. Mr. Softy has laid land mines such as cursor and sound freezes to encourage a Win 10 fix, the only option. To de-fuse these issues requires a reboot and that normally solves the land mines. Sometimes it requires a PC Matic scan to fix. I understand that there are at least 50% of major corporations still on Win Pro 7. Why are they not upgrading? Why has MS not provided the MP 7 Pro patches given those circumstances? Does Your OS Need Updated? Try a course in English 101.